About Ottinger Machine Company, Inc. It all began with great-grandad, Gotlieb, working in the butchering business back in the 1800's. As with most families in those days, his son, Albert, took over as butcher and then went into the rendering business in 1898. Albert's son, Malcolm, took over the business in 1934. Being a perfectionist and dissatisfied with the quality and availability of milling machinery, Malcolm designed and build his first hammer mill. 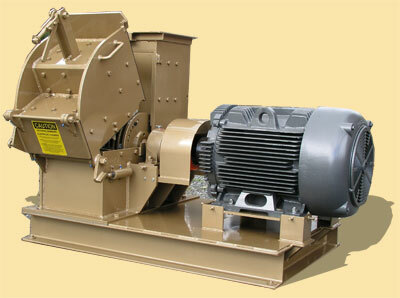 Because of the hammer mill's superior performance, the new hammer mill, now named the "Mighty Samson®," was being sold to other companies with similar needs. Sales of the Mighty Samson® was so successful that Malcolm discontinued the rendering business and sold the "Mighty Samson®" exclusively. Malcolm's son, Robert, now runs a successful business, selling the "Mighty Samson®" which continues to enjoy a solid reputation build over generations. Since 1934 and with over 75 years of manufacturing expertise in the field of size reduction equipment, Ottinger Machine Company has the best solution for your Hammer Mill needs. 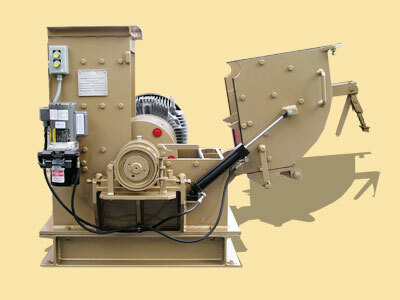 Equipment manufactured by Ottinger Machine Company can be found throughout the USA and Canada. Typical customers include those involved in plastic and rendering, and can also be applied to other fields. The folks at Ottinger Machine Company take great pride in our ability to make equipment to meet the exact specifications of our clients. With specific design modifications we can produce equipment that can perform multiple functions including grinding, shredding, pulverizing, lump breaking, crushing, or de-fiberizing.